Any successful business has one thing and that is they stand out from the crowd. To put a better word, they are distinct. 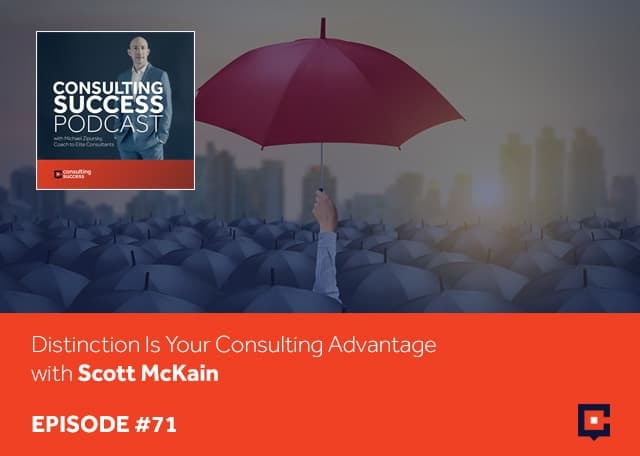 Diving in deep into why a distinction is your next consulting advantage is Scott McKain. Scott is a keynote speaker and iconic authority known for helping organizations create distinction in every phase of business. He teaches the “Ultimate Customer Experience” and gives tangible examples that help organizations create and deliver distinction that greatly positions themselves in the marketplace. Scott lays down the steps you could take to implement and create your iconic brand. He also talks about using books, podcasts, and other media to leverage and grow your business. I’m very excited to have Scott McKain joining us. Scott, welcome. Michael, it’s great to be with you. Thanks for having me. I combine a number of different things whether it’s professional speaking, which was the start of all this, and writing books about business. I’ve released my seventh book and then doing some consulting work and training involved with that as well. For me, it starts with the book. It gets an organization interested and books me for a speech. They want a deeper dive, which leads into more education and training. Before you hit the speaking circuit and became known through that channel, take us back. What were you doing in the early days before you were speaking, writing books and consulting with organizations? I’ve got a different background as compared to most in the field. Many years ago, I was a national officer of a student organization. I was state president in my home state of Indiana, then later a national officer of the organization. It required you to take a leave of absence from college to travel and speak. I’m 21 years old and traveling, giving speeches to adults about the student organizations, seeking their support or other students who were members. Parents would be the audience and they would say, “I’m the president of the local bank. My tellers need to hear that talk. Would you come to give that?” I paid my way through college traveling and giving these little hopefully uplifting speeches. They didn’t have to be that good. When you’re 21, they’re amazed you can get up and talk. I thought, “If I take this seriously and treat this as a business, there’s potential there.” I went to work for my alma mater upon graduation from college and I was in charge of the annual giving program. I was fortunate that during the first year there, we doubled gifts to the fund. The college offered me a raise of $1,000. I decided at this point, “Maybe there was more in having my own firm than higher education.” More than anything else, I was a relater of stories. I would travel particularly to smaller communities because my background is from a small community like a local Chamber of Commerce meeting. What would happen is if you’re young and sincere, you learn people love to help. I’d have an entrepreneur come up and say, “Here’s a good idea that you might use,” and it was a good idea. My next speech, I’d say, “Last night in Dubuque, Iowa, a business owner said this.” One of two things would happen, either you or I would notice other business owners writing it down or someone would come up with a better idea. I did that for almost a decade and it was one of the best practical learning laboratories that you could ever imagine. For you, what was the turning point? Maybe it was a realization where you went from giving these talks to say, “I could create a business around this.” What was your real path to becoming a consultant or working with organizations as you’re working through these stages across the country? I was fortunate to have a mentor that heard me speak and helped me in terms of the speaking aspect. I will never forget. I was doing a program in St. Louis. After it was over, the CEO came up and said, “You shared some very strong ideas. Can I pick your brain?” I totally remembered the ballroom in St. Louis at the airport hotel where that happened. It was the first time an executive ever asked me that. I shared that with some other speakers and they said, “That’s the genesis of consulting is you have a field of expertise or some area. You’ve triggered a thought or you have an objective viewpoint that the people that are in the trenches doing it day after day want to know.” In addition, when I worked at the college. we hired a consultant in the field of fundraising. He became my fundraising mentor. I remember it was shared with me how much he was making as the consultant. He was making more to consult me than I was making, working 50, 60 hours a week trying to raise money. I thought, “I’m in the wrong field.” That was naive and early in my business. I realized at that point the power, the value, the impact of ideas and of perception, what we can do as consultants, regardless of our specific expertise and what we can do to help move the needle for organizations. Your clients include Intel, RE/MAX, Cisco, BMW and SAP. These are all organizations that you’ve worked with in one form or another. What you help organizations do in terms of your messaging or the way that you’re positioned in the marketplace is to help organizations create and deliver distinction. What does that look like? Can you offer a tangible example for everyone? Maybe two examples of what delivering and creating distinction are all about. I released a book called ICONIC, which I’m terming as the ultimate level of distinction. As a specific example, I did some work for Fairmont Hotels. One of their specific properties, the Fairmont Princess in Scottsdale approached me and they said, “How do we make this work? Help us make this work.” For example, we talked about what is distinctive. It’s standing out from the competition in a specific, recognizable, tangible way. How do you measure that? Not only our NPS scores, for example but also how much is room occupancy going up? How many repeat guests do we have? 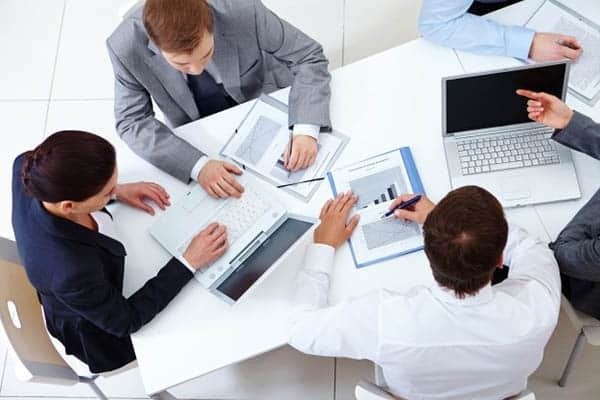 How many businesses bring meetings back repeatedly? There were a number of measurements for that you can establish. All of them tell the story. We worked with them on what does distinctive housekeeping look like. What’s a distinctive valet parker? What’s a distinctive front desk? We went through all of those with them. They decided, “What’s the ultimate level?” Part of what we learned through that process is we have to help organizations who many times are fixated on the competition, to think about developing their own game plan. Executing and owning something. I defined distinctive as you stand out from your competition in a recognizable manner, but iconic is you’re recognized beyond your own industry. Starbucks isn’t a distinctive coffee shop, but Starbucks is iconic because they transcend their industry. The goal for any department, professional or organization is how do I become so good that I’m thought of as a best practice? What we do is so good that it transcends the boundaries of our own industry. An example, what the Scottsdale Princess decided to do was, “We’re going to own Christmas in Scottsdale.” If you think about it, there’s no meetings going on and a lot of times people don’t like staying at hotels over the holidays. It’s probably their time of least occupancy during the year. They created this innovative plan to become the go-to destination in their community of Phoenix for Christmas. The governor comes to open it. It has gotten universal recognition as one of the greatest celebrations of the holidays, complete with an ice-skating rink in the middle of the desert and some incredible things that they’re doing. Their occupancy rate is as high at Christmas as it is during January, February which is their primary times. They did something not with a focus on the competition but how do they transcend their own industry. I’m going to put you on the spot. This makes a lot of sense. 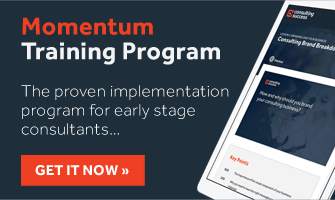 Let’s say for the consultants, the solo consultant or the consulting firm owner who’s reading this going, “I could see those applications in a larger, maybe more complex organization with a big budget.” A lot of moving parts. What about for the consultant or the consultant firm owner? What steps could they take? What tangible actions could they implement? What ways could they apply critical thinking to create their own iconic brand or iconic company or to begin by creating more distinction in their business? One of the examples I used in the book ICONIC is the multimillionaire chimney sweep in Nashville, Tennessee. It’s not specific about the size of the organization of the firm. Part of what happened in my life and in my business is I went through a tragedy. I lost my first wife to cancer. As the sole caregiver, it was hard for me to take on new projects. I couldn’t travel and speak. I had to shut my business down for a period of time. When I was re-launching the business, I asked clients, “If they recommended me, what did they say about me?” It’s a great question for consultants, particularly solopreneurs and small shops to say. We ask the NPS question, “Would you recommend me?” We follow it up with more insightful, more meaningful question which is, “If you were to recommend me, what would you say?” What I found out my clients were saying, “Good speaker, a good consultant, nice guy.” I want to be a nice guy and I want to be good at what I do, but could there be a more bland or generic recommendation than that? No business owner is going to say, “For a consultant, get out there and get me a nice gal. Get a nice guy.” Nobody’s going for that. Why is that a bad thing? Someone is starting up early stages. They have someone who’s approached them and said, “Can you help us? We can pay you.” What is the real downside of saying okay to that? At the beginning of my speaking career, I did say okay to it because you’ve got to put food on the table and you’ve got to pay your bills. I get that. What I learned through the process is you cannot differentiate a generic. I see these claims on LinkedIn, “The number one consultant in sales.” Who says that? Many of us get in times of desperation and we make these unsubstantiated claims. Given that, what we have to do is to develop this precise and specific base. This is what I do. Are there ways that we can broaden that and expand that? Yes, once our flag is in the ground. For example, in the pizza business, if I stand up and say, “Your pizza in 30 minutes,” everybody thinks of Dominoes, even though they haven’t made that claim for many years. Dominoes differentiate themselves as a delivery business. If I say, “Better ingredients, better pizza,” everybody thinks of Papa John’s, even though most of their locations also deliver. What they’ve done is they’ve planted their flag in the ground of the specific point. It’s not like Dominoes is saying, “Our pizzas are crummy, but they get there fast.” They’re trying to improve their product quality. They had to get their flag in the ground first before they could broaden the base. That’s the mistake I made in my career. The mistake I see many consultants do is they start out broad and they never get to the point that their flag is in the ground, that this is what I do. This is what I’m known for. This is what I’m a specialist at. We both know in many situations with clients, the consulting relationship is good and it grows. They start asking us naturally our opinions on areas outside what we’re seeing are our expertise. It’s fine to help a client that we know their organization. I’m not saying that we turn that down. I’m saying that unfortunately, because of the press for business for smaller groups like practices like I have and many of your audience has. We do the opposite of what it should be. Instead of starting precise and growing, we start big and then it becomes even more difficult to be precise because we’re not known for that field. We’re known as the generic and the change is challenging. It’s much easier to position than to reposition. You ask for feedback. If we could maybe illustrate with your example a bit for the benefit of everyone. You got general feedback. What was your next step? You had this realization this was challenging for you to create differentiation within your own business. Other businesses likely also had those challenges. What did you do next? What decisions did you make? What were some of the best practices that you implemented that helped you to get more clarity around your offerings and ultimately create that higher level of distinction in your practice? There were a couple of things. One, from a business standpoint, writing a book is critical. Not that it has to be a New York Times bestseller. Not that it has to be on every shelf at every Barnes & Noble across the country. It becomes your positioning state. It becomes a serious piece of work that you can show your thoughtfulness about your specialty. If I was going to put my flag in the ground about the point of distinction and being iconic, I needed to write a book about it. The thing it also does, and this is the unintended benefit or consequence of it, is it forces you to clarify your thinking. As a consultant, we can sit and have conversations. I do a lot of work with Volkswagen Australia. If I’m talking to Michael Bartsch, the Managing Director, CEO of Volkswagen Australia, I can tell if the way I’m expressing myself is connecting with him. If it’s not, I can back up and I can try it again. I can use more statistics or a different story. You can’t do that in a book. Writing the book forces precision of thinking and that was incredibly beneficial to me. An example, I knew the clarity and the process was important and I knew the creativity and innovation in the process was important, but I didn’t know which went first. My assumption was I need to start out being more innovative than my competition. That’s not true. What I found through the research and going through the process of writing the book was clarity comes first. Within the boundaries of that clarity, then you get creative. Part of the problem with think outside the box is we haven’t defined the box. Therefore, we don’t know if we’re thinking outside of it or not. Going through that process forced me to be more analytical. It forced me to be more precise. The great thing about a book is it’s the best business card that any consultant can have. Let’s use that as an example. You’ve written your first book. It’s helped you to distill and get clear on your area of expertise and how to define that. Create points of distinction around that. How did you leverage that book? There are plenty of people who have written books but have never seen any real benefit from those books because they haven’t got them out into the world. What did you do specifically to leverage that book and get it into the hands of your ideal clients to grow your business? Here are a few ideas that could help folks with that. For example, every company that I mentioned in the book, I put a little tab on there, like one of those little Post-it note tabs on the pages they were discussed and I sent it to them. The CEO of CDW tells me probably every day he gets a book from some business person or some consultants. He’ll glance at them and that’s great, but he doesn’t have time. When my book came in, it was flagged with the specific pages. When I was in fundraising, you put out your annual report and what we realized from the research on the annual report is no one read it. You flip to your class year first of all to find your name and then to find the names of the other people that you went to class to see how much they gave the college. Based on that thinking, I know they’re not going to read my book. They might flip to the page to see what I said about their company, which in turn might hook them to read a little bit more about the book. The CEO might hand it off to the VP of marketing or the VP of sales and say, “I got this. See what you think.” If I send the VP of sales the book, it’s probably not going to get read. If the CEO hands that same book to the VP of sales, he’s up all night reading it. It changes the dynamic. That was the first thing I did. The second thing I did is then to go and say, “Who are the competitors of the companies that I’ve named in this book?” I would flag their competitor and I would say, “Your competition is creating a distinction. If there’s a way that I can help you rise to this level, let’s talk about what we can do in the next steps.” You’re challenging them with your content. Naturally, they want to dig into the material and see what their competition is doing that they are not. The other thing that I did is I said, “Is there something I’ve neglected to say about your company? I can make certain that I can include that in my next book.” Now, we begin a dialogue. The third thing I did is the other question that I would ask is, “Who is your customers’ customer? How can I help you with them?” For example, we did a project with Bridgestone. One of the things that I realized was if they needed that information and are willing to pay for it, what’s the likelihood that the people that sell their tires, their customers need it? Bridgestone wants to connect at a higher level with Discount Tire, Tire Barn and all the other tire retailers. Those tire retailers want to connect better with their customers to beat those other types of retailers. What if Bridgestone financed my work with them? What was a nice project turned into an amazing contract simply because companies will pay consultants a lot to help that company? What I found is they’ll pay just as much or even more to sponsor you to help their customers to truly enhance and strengthen the bonds that they have with their customers. Was that a conversation that you brought to the table? Was that something that they initiated with you? It was an idea that I shared with them, but the CEO picked up on. Think about how much they spend as an organization in terms of trying to impress their customers. Think of what they spend doing exhibit at trade shows or sponsoring a luncheon or cocktail hour at every meeting of those folks have. Nobody remembers who sponsored the cocktail party. If I could go in and help the leadership of a tire retailer understand what they could do to stand out from their competition, they’ll never forget that. That’s truly strengthened the bonds that they have with the home company. All of those are ways that we, as small and solo consultants, can grow our practices but also get deeper within any organization. I’ll point here for everyone in our audience the example you shared is important. What you helped that client to do in terms of making the case was to help them to see that reallocating some of the resources they’re already spending could provide them with a greater ROI and more value. That’s a conversation as consultants can be powerful and compelling and much more effective than trying to have an organization find new funds. Let’s talk about what you’re doing and is there some inefficiency that we can remove? Are there some things where we can add greater efficiency? That’s what you did with that brilliant example. That’s something that a lot of folks don’t get is that if they have to find the money or create the line item somewhere in the budget, now you’ve added a layer of complexity that is significant. If I’m saying reallocate some of the resources that you already have that aren’t paying off for you. Not only is that easier money to find, but the manager who makes that decision when it goes well is a hero internally within the organization. You’ve used and leveraged your books with some of the examples that you shared, which are fantastic to get a seat at the table with well-known organizations. I’ve named a few of your clients, you’ve named others but there’s many more. You’ve also clearly got on stages in front of ideal clients and that’s turned into a business and consulting projects for you. Aside from speaking and writing books, what else has worked well for you to create visibility and get the attention, interest of ideal clients that has led to more business? I don’t have the data to know if this is unique to what I’m doing or if this applies to others out there. Although my gut feeling is that it would. That is there’s no silver bullet. The magic is in the mix. I’m on LinkedIn. I’m on Twitter. I have a podcast. I do blogs. It’s not that there’s going to be any one of those that create this enormous opportunity. What happens is that if Jane Doe at the XYZ Company, sees a tweet every once in a while, and then stumbles across a podcast and listens to that, it might inspire her to get the book if she sees that at the airport. It’s more time consuming and tougher and we have to be more disciplined in doing that. At the end of the day, it’s going to be that they stumble upon us or find us. What I want is that if I make a direct approach, that there’s somebody at that table that goes, “That name’s familiar. That’s the guy that speaks about becoming iconic.” You build a brand that has at least enough recognition that it gets you by the gatekeeper. That’s good examples and truth of reaching people from lots of different channels. Creating this omnipresence in the marketplace. What I’d love to explore a little bit around this is how do you manage your time? You’re doing podcasts. You’re writing books. You’re speaking. You’re delivering on client projects. What a lot of consultants find, as I’m sure you have as well, is that as demand for your services increases and you’re delivering more. You then have less time to work on your own business, your marketing, and so forth. What have you found that has helped you to scale your consulting business and your practice, everything that you do? What is your approach to managing time and ultimately has allowed you to ensure that you’re always still able to do marketing, even though you’re delivering? One of the things is I’ve gotten a whole lot better at saying no to things. I’m fortunate to get certain invitations. I don’t mean to sound like a jerk. but you have to get good at saying no to things. Can you offer some examples around this? When you say no to things, what does that mean? What is your decision-making filter or criteria that you apply to say no? It’s important to say no. It’s something that as you become more and more successful, you need to get better at it. The opportunity to speak somewhere that I know will not provide other opportunities, either in terms of consulting, training, future speeches or anything like that. I don’t have the time or energy to do a bunch of one-offs. For example, when you asked me to this podcast, I was excited about that because this is what I do. This is my wheelhouse. This is the chance to communicate with other folks that are going through the same trials, tribulations, and challenges that I do. If the podcast is generic and the podcaster can’t describe the audience. I can’t take 45 minutes to do that. I don’t mean to be a jerk about it. If you do all of those, then it doesn’t give you time to do the significant ones like this one. 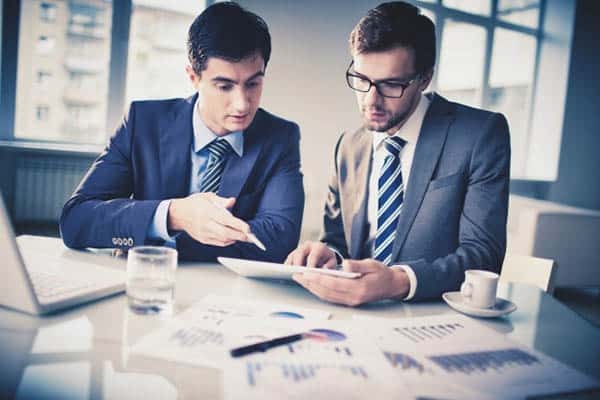 The question that we always ask is, “And then what?” “Scott, would you like to come to speak to this meeting?” We might not say that to the client, but in our office, we’ll say, “And then what?” Would this lead to other speeches? Would this lead to a deeper relationship? Is the organization significant enough? Are the audience members significant enough that it will provide additional opportunity? You can ask that from day one. When you start asking that question, then it raises your antenna about the opportunity of every consulting engagement, every speech and everything that you can do. I get all these invitations. I’m sure you and a lot of your audience do too. They say, “This will be great exposure.” People have died from exposure. Typically, my experience was it exposed me to other people that wanted free services. We have to be very careful about that. The question I would suggest that folks ask is, “Then what?” Maybe there aren’t some free engagements that you want to take. For example, consulting with a charity whose board of directors are all influential leaders. It might be a great project to take because it would expose you to people who can make significant decisions later on. By asking that question, we don’t have time for one-offs. What could this do? What could this lead to? How could this help us? I neglected asking this at the beginning, “What do I want to do?” How many times have you said yes to something and you didn’t want to, but you said yes to it? The closer it gets on your calendar, the more you’re kicking yourself because you said yes. I’ve started asking the question, “Is this something I want to do? Will I enjoy doing this?” We’re always at our best both personally and professionally when we’re doing those activities that we enjoy doing. I want to put myself in more situations where there is a high enjoyment effect. The one thing that all of us share is that we have time in terms of we have the choice. Do we have what we want to do with that time? We can never recreate it. Being clear on what is meaningful for us and living our lives so that we don’t have regrets. I want people to think about this. This one point can help you to hone in so that you spend time on areas of your business, in your life that will allow you to get the greatest value and return from it. Rather than spending a whole bunch of time on things that don’t move the needle for you personally, professionally, your health, wellness. There are many different ways that this concept can apply. Let me ask you one question. What are you reading right now or what is the best book you’ve read in the last little while? This is going to seem so strange but Bad Blood, about Theranos, the blood testing completed turned out to be a fraud. It is well-written but the way that some really smart people were simply captivated by charisma and didn’t look beyond the surface. What was fascinating to me and a cautionary tale as well because that might be part of our job as consultants are to say when the emperor has no clothes? I want to be a positive force for my clients, but it doesn’t help my clients for me to ignore when things are wrong. The funny thing is if it wasn’t true if this was a work of fiction it wouldn’t sell ten copies because it’s unbelievable. Two former secretaries of state are on the board of directors and they’re making all these claims. I don’t want to say that style isn’t important. Style can connect you with people and help lead them. If you have all style and no substance, you’re heading for a fall. That’s dramatically brought out in this book. What is the best way for people to learn more about you and your work? ScottMcKain.com is our basic point of getting to know me. We also have a website that’s called DistinctionNation.com. We usually only offer this to people that are in the audiences at presentations that I do, but if anybody in your audience would like to go there. There’s a free eBook that you can download. There is a fourteen-day program on creating personal distinction in your profession that’s available there. There is nothing there for anybody to buy even if they wanted to. It is a service that we provide the audience members. If anybody from your audience would like to go there, they’re certainly welcome to it as well. You can download a book. Download the audio, other free resources and videos there for you. Make sure that you take a look at Scott’s seven books. Scott, thank you so much for coming on. Michael, what a have privilege to be asked. Thank you. I hope we cross paths soon.